It doesn’t take much for me to be redirected onto something else. I’m a bit like a redirect on a website – if someone tells me something is better or I see a class performing or even looking good in their equipment, I immediately create the class/race in a hope that that class will be the one. Unlike Neon from the Matrix – I have yet to find or be the One…. In order to increase my DPS output on my characters, I am always looking for a class which has an easy rotation with a high output. Although this might seem boring to people, being a casual gamer I need something which is easy to learn and, if I can maintain interest in the class, eventually master. My brother (Chugawuga, Youtube) recommended a Fury Warrior. The rotation, apparently, being as simple as – rush in and blade storm! 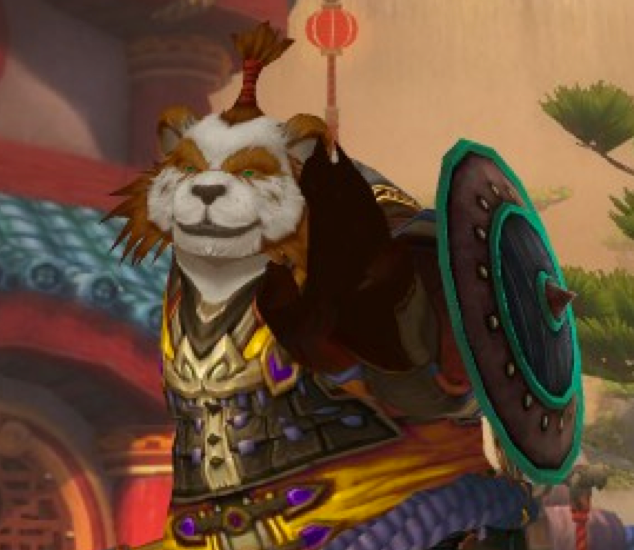 I always like to experience the starting areas of the races so I thought this would be a golden opportunity to great a panda warrior! I was really impressed with the animations for the Panda, the were they fight both with a two handed weapon and a single weapon looks great and I enjoyed the starting area – was so sad to see that the turtle had a thorn in its side! – stupid Alliance! learn to pilot your ships! 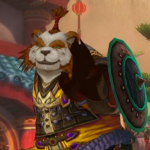 I haven’t played Lowbelly since I made the video, but I think he certainly has potential – I think if I made a serious melee DPS class it would definitely have twin weapons – so the shaman, monk, warrior and rogue are all in the running! Enjoy the video!